Non MPO Educational institute are able to make their Educational Institution as a MPO in February 2019. MPO Online Application Process are complete by www.shed.portal.gov.bd. MPO Registration was started on February and it will continue to 16 march 2019. Madrasah Education Board and Technical Education institute have to wait get their MPO Registration. 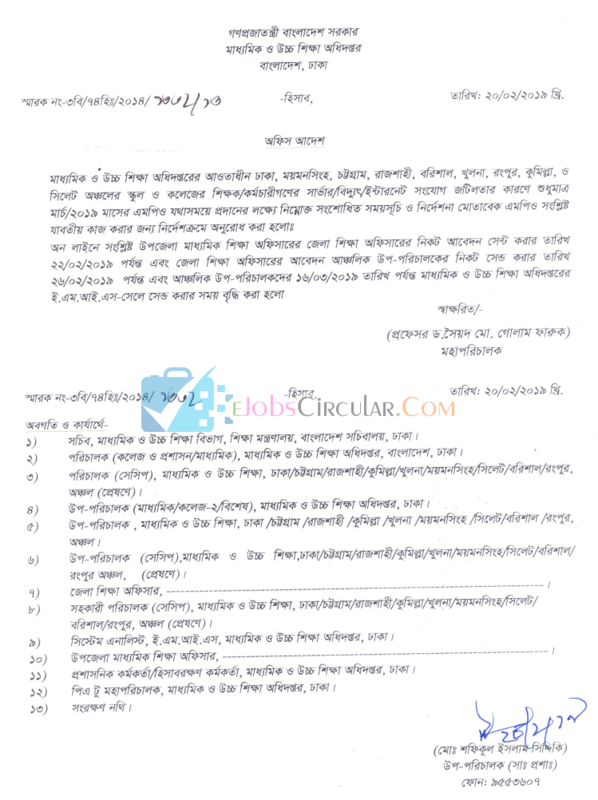 Online M.P.O Application Form 2019 submit by www.shed.portal.gov.bd . First you have to enter your EIIN Number then Complete all information which are listed on your MPO Registration Form. You can easily Download your MPO Print copy from ejobscircular.com . We also provide you full instruction about how to apply MPO in 2019. Before start your MPO Online Application Form Fill-up read below this Instruction carefully. Hope You read above the MPO Online Application Process 2019. BANBEIS Official website also allow Non MPO to MPO Online Application Form. You may know more about M.P.O Notice from ejobscircular.com . Thanks for keep visit our website. Share this post on your Facebook Timeline. And if you face Any problem when application form submitted you can contact with us on Facebook. This entry was posted in Employment News, Notice by ejobscircular. Bookmark the permalink.